Nellie McWilliams Jester, aged 90, peacefully returned home to her Lord on Friday, November 30, 2018. Nellie was born on July 31, 1928 to Francis Joseph McWilliams and Nellie Austin McWilliams. She was the loving sister Robert McWilliams. She was the beloved younger sister of Francis McWilliams, who predeceased her. Nellie spent her childhood years in Nutley, New Jersey, where she met the love of her life in middle school, Harry “Bud” Jester. Upon graduating from Nutley High School, Nellie attended Beaver College and after one year, transferred to Skidmore College to be nearer her greatest love, Bud, who attended college nearby. Nellie earned her Bachelor of Arts degree in Spanish and elementary education while at Skidmore. Nellie and Bud held their friends from their youth close, spending decades of friendship sharing love, laughter, loss, nostalgia and Manhattans. A loyal and loving friend, Nellie was an admired hostess whose home was a warm and welcoming gathering place for friends, old and new, throughout her life. Nellie and Bud were married in 1950, building their first home together in Robertsville, New Jersey. It was there that they began their family. Along with their three young and boisterous sons, David, Robert and Bruce, they moved to Westfield in 1958 where Nellie would enjoy her “greatest and most privileged job” as wife to Bud and mother to her boys. Nellie could be found at every sporting event, cheering on her sons. She logged-in thousands of hours on the sidelines and lovingly washed all those uniforms; not a task for the faint of heart. She was her sons’ greatest supporter and cheerleader for her entire life. An adoring grandmother, she cherished and took great joy in spending every opportunity she had with her grandchildren Laura, David, Tom, and John. She was blessed with two great-grandchildren, Grant and Connor. She delighted in hearing of their adventures and was aglow in their presence. Nellie’s daughters-in-law, Sandra and Amy, enjoyed beautiful mother-daughter relationships of love and friendship that had eluded Nellie in her family full of boys. An avid genealogist, Nellie spent many years pursuing documentation and building her family tree. She was as proud of her ancestry as she was of her legacy. Nellie was a longtime member of The Grace Orthodox Presbyterian Church in Westfield, The Magna Carta Dames and, The Daughters of the American Revolution. Fluent in Spanish, Nellie enjoyed the companionship of her many Spanish speaking friends through her membership in The Spanish Ladies Club, often hosting their monthly Tea. Always willing to lend a hand, Nellie served as a BSA Den Mother to her young Cubs and their energetic co-Cub Scouts. In all things, Nellie was the Jester family cornerstone of love, a woman of kindness, beauty and grace. She will be deeply missed. Nellie is survived by her adoring husband of 68 years, Harry “Bud” Jester, sons David (Sandra), Robert, and Bruce (Amy) Jester, brother Robert McWilliams, grandchildren Laura (Justin) Krebs, David, Thomas and, John Jester, great-grandchildren Grant Jester and Connor Krebs and, many extended family members and friends. 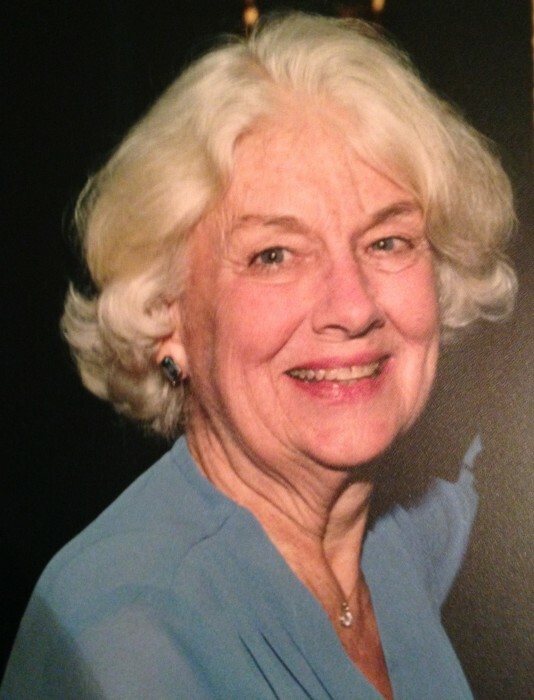 The Jester family will welcome friends and family to gather in remembrance of Nellie for a visitation and funeral service, both being held at Higgins & Bonner Echo Lake Funeral Home located at 582 Springfield Avenue, Westfield, New Jersey. Visitation will be held Thursday, December 6, from 6:00 PM until 9:00 PM. The funeral service will be held on Friday, December 7, at 11:00 AM at the funeral home followed by interment at Fairview Cemetery in Westfield.